Hugh Richardson is a bass guitar player, arranger and composer currently living in London. During his career he has; played support slots for The Hoosiers, The Doobie Brothers, recorded at Metropolis Studios, performed with musicians such as Nick Mason (Pink Floyd), Marc Russo (Tower of Power), Chuck Sabo (Elton John), Lara Johnston and Ana Free. 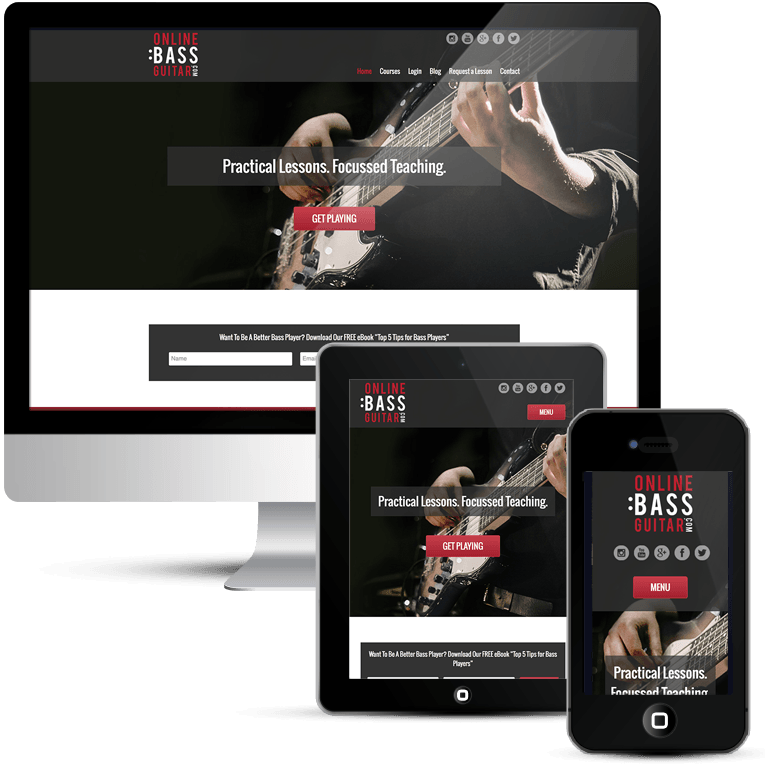 Hugh has been teaching bass professionally for several years to students at beginner level right through to degree and masters level as well as coaching some professionals. He’s also a busy working bass player in London, UK, having performed with broadway stars Titus Burgess and Jeremy Jordan, Bat Out Of Hell The Musical and conductor Marin Alsop to name a few. I was very pleased to be chosen for this new web design project. Online Courses are a complex thing to create and I love a challenge. The lessons are made available once a student has paid their fee via the website and been provided with their login details. The courses are drip-fed so you cannot view the next module until you have completed the current one. Hugh has a great talent and there is certainly some very high quality material here. Red is one of my favourite colours and so this was a great web design to do. Hugh has edited and added his own design elements since it went live and I am so pleased that he is having fun using WordPress and editing the website.